Granny Schwümmlis famous „Magic rainbow“ kneesocks from 1953 are on display in the Museum for Contemporary Knitting and Wooly Art. 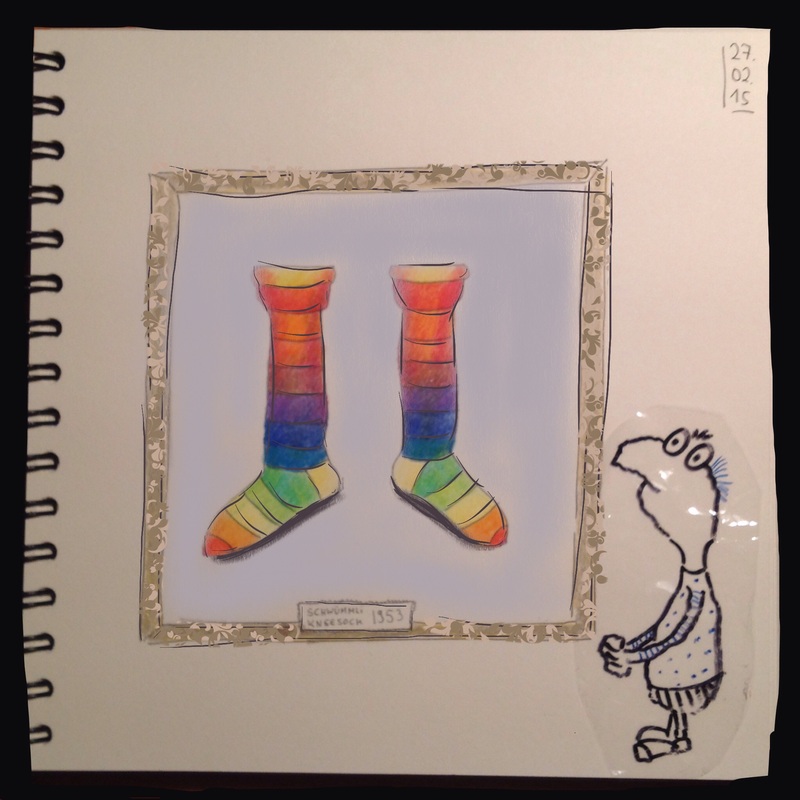 Granny Schwümmlis famous Magic rainbow kneesocks from 1953 are a masterpiece. Granny is on a par with Grandma Moses for sure.